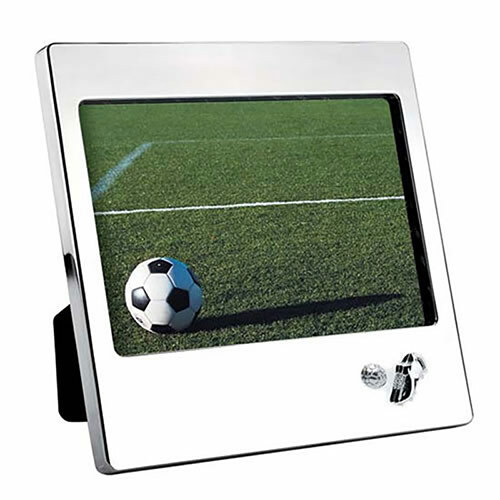 Attractive silver plated photo frame with football motif in the bottom right corner. These frames hold a 3.75in x 5.7in picture in landscape orientation. They can be wall-mounted or free-standing by using a strut (supplied). These football photo frames can be engraved on the front underneath the inserted picture, and are offered here with free text and logo engraving.